Student Historian interns are high school-aged students who use the resources of New-York Historical to conduct exciting research and share their scholarship through creative digital projects. Interns meet with professional staff to learn about careers in the museum, library, and history fields; work collaboratively with fellow students to develop their public speaking and leadership skills; and engage in hands-on work to deepen their understanding of American history and art. The theme of the program is We the People: Democracy from Athens to America. Applicants for the academic year program must be in grades 10, 11, or 12; summer applicants must be entering those grades or their first year of college the following fall. Applicants must live in and attend school in the New York City metro area (includes the five boroughs of New York City, as well as areas of New York State, Connecticut, and New Jersey). Applicants must have parent/guardian consent to apply for this program. If accepted, interns must have a valid employment certificate (“working papers”) by the start of the program. For complete information about obtaining working papers, visit: https://labor.ny.gov/workerprotection/laborstandards/workprot/wphmpg.shtm. Interns with demonstrated financial need may be offered a stipend to participate. All applicants attending NYC high schools will be considered for this opportunity. Unpaid internships will be provided for all other accepted students, with the option to receive community service hours or school credit. 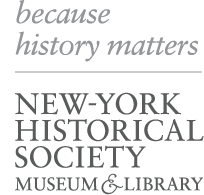 Major support for the 2019 Student Historian Internship Program is provided by Richard Reiss, the Onassis Foundation USA, the New York State Council on the Arts with the support of Governor Andrew Cuomo and the New York State Legislature, and the New York City Department of Cultural Affairs in partnership with the City Council. Additional support provided by Placer Partners and Ray Lent, Managing Partner. Family Programs interns meet throughout the academic year to support DiMenna Children’s History Museum’s programming. Explore the Family Programs calendar. Exhibition Curator interns research and plan a thematic historical exhibition during the academic year. Exhibition Educator interns develop and facilitate programming around the exhibit and its content over the summer. Summer: July 3 – August 31, Wednesdays, Fridays, Saturdays, and Sundays, 10 am – 4 pm. Student Historians are invited to apply for this opportunity after successfully completing the first-tier Student Historian program. All Teen Leaders are compensated at minimum wage. Upon acceptance into the program, interns are required to provide documentation that they are legally allowed to work in the United States. For more information on required documents for employment, please visit www.uscis.gov/i-9. Questions? Contact hs.internships@nyhistory.org or 212-873-3400 Ext. 361.